* Upgrade your viewing experience. Watching games at home is hotter than ever because of the experience a top television provides. If you don’t have one, then make a new TV your first round pick this year. The LG 2018 OLED TV lineup features sophisticated designs and super brain power to complement its stunning picture quality. With an Alpha 9 intelligent processor – LG’s most powerful ever – LG’s OLED AI provides true-to-life images coupled with rich colors, sharpness and depth. Even more, these TVs are smart! They have LG’s ThinQ technology, Google Assistant built right in and are also compatible with Amazon Alexa so you can use voice commands to control TV functions, search for content or tap other connected IoT devices like lights, robo-vacs and a lot more all from the comfort of your couch. Don’t want to wait for the ticker to get updated on other game scores? Ask the TV and it will update you immediately without you missing a second of your game. 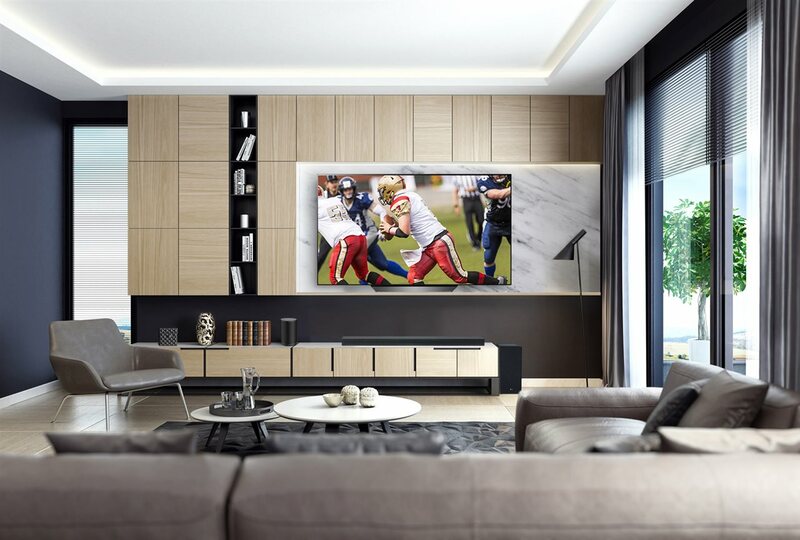 The LG Super UHD lineup also offers some of the best televisions available with screen sizes from 49 to a stunning 86 inches and superior viewing angles for your ticket to the best seat away from the game. To learn more about how LG’s 2018 OLED TV lineup can reinvent your sports viewing experience, visit www.lg.com.